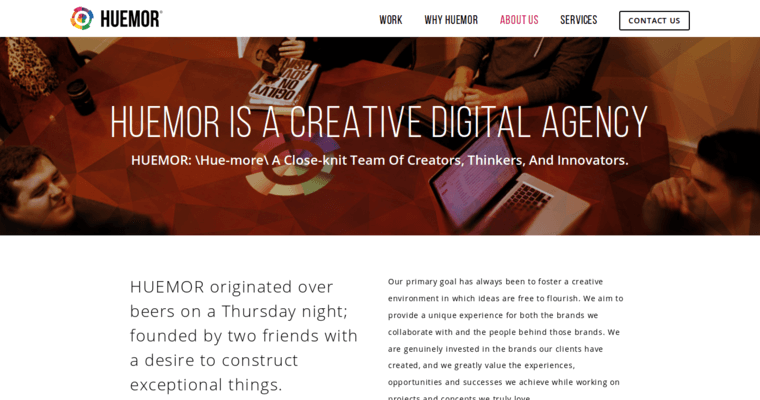 Huemor Designs are known for always providing a positive experience for their clients. They have a lot of the best people in the digital marketing industry working for them, and this has helped to built up their reputation. Throughout the years, they have won a few different awards for the services that they provide. This is just one of the millions of reasons why they have become known as the best local SEO agency, in the digital marketing industry. In order to provide a more hands on approach to their clients, Huemor Designs have offices in both Pittsburgh and New York City. This allows them to be closer to more clients, but it doesn't stop them from working with people outside of their office cities with their digital marketing. They love to generate and create new and memorable experiences for their clients and their clients' customers through innovative online brand building services.